Assisted living facilities are anything but cheap. #1. Ask the facility about possible incentives. Assisted living communities are dedicated to keeping their occupancy rates high, and they will occasionally offer discounts and other move-in incentives designed to attract new residents. These incentives may include rent freezes, discounted rent and/or waiving the entry fee. Even if no current move-in incentives are available, it never hurts to ask! You never know, they may be able to offer you a more affordable rate. #2. Don’t wait until the last minute. When you think that either you or your loved one might require assisted living care in the near future, don’t wait to start looking. When it comes to choosing an assisted living facility, you never want to rush the decision, and you also don’t want to end up in the wrong community, as having to move again will dramatically increase the costs. Though you might get lucky with the first option you look at, the reality is that it can take a lot of time and research to find the right assisted living for your needs. And, if you wait until the last minute, you may have to end up settling for an option that is in the higher end of your budget and may not provide all of the services you need. #3. Find the right facility the first time. As we mentioned in our last point, a surefire way to make the entire process a lot more expensive than it has to be is to move around from facility to facility until you find the right fit. This is not a great way to go about your search for either your loved one or their finances. Do your due diligence throughout the process, and always thoroughly research any facility you are considering. And, don’t hesitate to contact our Senior Living Consultants for professional assistance. #4. Consider moving to a new location. Location is important. After all, you want to be close to your family and loved ones. However, location is just one factor that needs to be considered, and when compared to the quality of the care, the safety of the facility, the services provided and other factors, it’s a fairly minor one. The cost of assisted living can vary quite a bit state by state, and even from cities to suburbs. Being flexible about the location could make a huge difference in the costs you’re looking at. #5. Ask if there’s any flexibility in price. The costs of the assisted living facilities on paper are not always set in stone. While you won’t be able to negotiate the costs in 100 percent of cases, it’s always worth it to take a chance and ask. After all, they may be more willing to negotiate than you think, and that could make or break your ability to move to a specific facility. #6. Compare inclusive prices with prices of individual services. While most assisted living facilities offer only inclusive pricing, some will give you the option to pay for only the services you need “a la carte.” If you or your loved one does not require a lot of care, or if the area you’re looking in has a higher cost of care, it’s possible that you’ll save more if you only pay for the services you need. However, you’ll need to carefully compare the prices, because individual services can add up and quickly outpace all-inclusive prices, especially when several services are needed. #7. Consider sharing a room. In most assisted living facilities, you can choose between a private room or a semi-private room, with semi-private rooms being much, much more cost-effective. No one likes the idea of sharing a room, but it has the potential to make assisted living care a more affordable option. #8. Think about other senior care options. 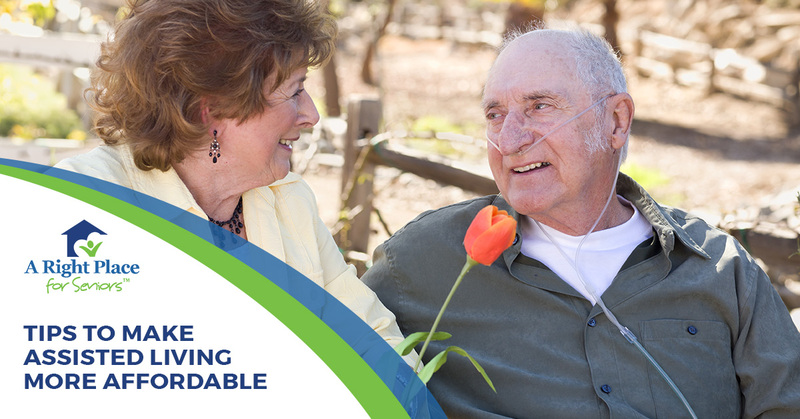 Assisted living communities are a great choice for a number of reasons. The activities they provide give people the chance to engaged in much-needed physical activity and socialization, and they also provide nutritional meals, medication management and supervision, which eliminates the risk of falling at home and not being found for several days. However, not every senior needs assisted living care, and it’s possible that you could get everything you need by choosing a retirement community. There are also more cost-effective alternatives that can allow you to stay in your home for longer, such as adult day health care (ADHC) and in-home care. #9. Find out if you are eligible for assistance. There are many ways to get assistance with the cost of care. For instance, many assisted living facilities will accept Veteran’s Administration benefits, and for people who have served in the armed forces, those benefits can make a sizeable difference in the cost of care. On the other hand, if you don’t have a lot of income or assets, it’s possible that you may qualify for Medicaid. Not every assisted living facility will accept Medicaid, but some do. Apart from Medicaid and VA benefits, you could consider using the equity in your home or using your life insurance policy to cover the costs of care. #10. Get help from a professional! Getting through all of the ins and outs of finding the right senior care option and finding the right facility are difficult enough as it is, but when you throw in the added complication of sorting through the costs, it can make the whole thing even harder the get through. 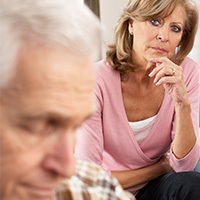 A Right Place for Seniors can help. Our Senior Living Consultants have the expertise to help you find a solution that will work for both your care needs and your budget. Plus, we have our own database of facilities that we work with, and they have all been vetted for safety and quality of care, so you can can rest easy in knowing that you can trust the options we provide for you. And, you won’t even have to worry about making room in your budget to cover our senior placement services, because they’re available at no cost to you! Don’t attempt to get through the process alone! Contact a Senior Living Consultant near you today!